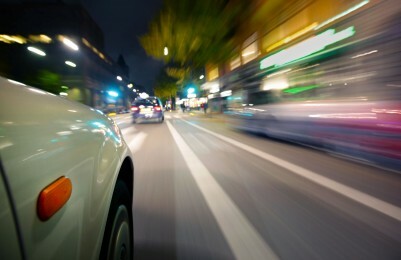 According to government statistics, hit and run accidents account for approximately 11% of all motor vehicle accidents. A driver who caused injury to another by careless, reckless or drunk driving has already violated the law. In leaving the scene of the car accident, they have now become criminally negligent. If you or a loved one has been injured in a hit and run accident, it may be in your best interest to consult Chicago car accident attorney Phil Berenz as quickly as possible. Even if the police are unable to identify the negligent driver, you may still be able to recover compensation. Can I file a claim with my own insurance company? In the state of Illinois, all drivers are required to carry automobile insurance – the minimum of which is $25,000 per person and $50,000 per accident. However, drivers are not required to carry personal injury protection (PIP) or uninsured motorist covered (UM). This means that your ability to recover damages from your own insurance company after a hit and run accident may be limited by the type of insurance coverage that you have acquired. When you meet with the team at Berenz Law Network, we can help you to assess your options and determine the best course of action. After you have been involved in a hit and run accident, you may have the best chance at recovering compensation if you are able to identify the other driver. Write down a description of the vehicle: anything that you can remember about the other vehicle may help, including the color, model, damage and license plate number. Contact the police immediately: when help arrives on the scene, you will be able to file a police report. Request a copy of the report, as this may help with your insurance claim. Take pictures of the accident scene: this should include pictures of the damage that was done to your vehicle, as well as any other relevant evidence (i.e. tire marks). Seek medical attention immediately: you shouldn’t delay in seeking medical attention after an accident, even if you don’t think that you have been seriously injured. Contact a personal injury lawyer: the process of filing a claim after a hit and run can be complicated; entrust your case to the team at Berenz Law Network. At Berenz Law Network, our legal team has been protecting the rights of victims and their families for more than 17 years. We understand how difficult your situation is, so we will work TIRELESSLY to help you obtain the financial compensation you are due for your medical expenses, loss of income, pain and suffering and other losses related to the accident. We will work diligently to relieve you of the burden of pursuing compensation, thus allowing you to concentrate on your health and recovery. Call Chicago hit and run accident lawyer Phil Berenz today at 312-375-6524 for your free case evaluation!